There may not be much gold in them thar hills, but there's more than enough copper and nickel to make the Superior National Forest a veritable boom town of mining interest, even in a sluggish economy. 20 miles of the Boundary Waters Canoe Area Wilderness. started at about 20 of those sites near Ely as prospectors try to see how broad, how deep and how rich the ore deposits are. This summer, the forest service is conducting an environmental review on another 32 applications. With many more expected in coming years, the Forest Service is developing guidelines for mining exploration requests. "Prospecting has picked up dramatically in recent years," said Jim Sanders, Superior National Forest supervisor. Geologists "have known about what's up there for years. Now they are zeroing in on it." That bull's eye is on the Duluth Complex, a geological phenomenon that holds large deposits of copper, nickel, cobalt, lead, zinc, titanium and platinum, along with lesser amounts of silver and gold. For years, those metals were thought to be too sporadic and too deep to be profitable. Not any more. "The economy has slowed it down a little over the last few months. But the … prices for precious metals in recent years, the knowledge of the ore body up there, and the improvements in technology to get at the ore … have really combined to ratchet things up," Sanders said. The new sites aren't far from where an open pit copper mine already is proposed by PolyMet Mining Co. north of Hoyt Lakes. But exploration efforts are moving east and north, away from the Iron Range and toward the BWCAW. 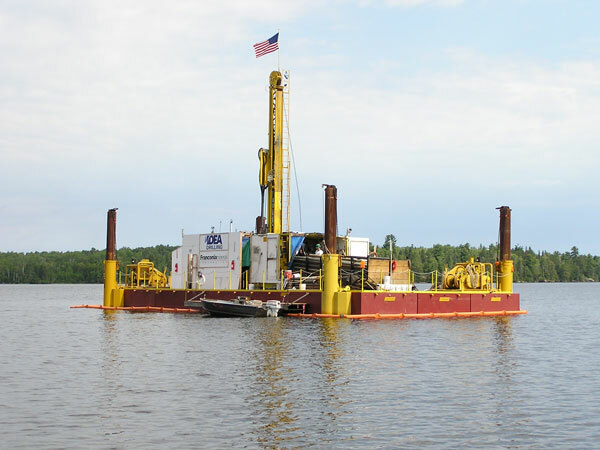 Lehman Exploration Management Inc. is one of three firms seeking permits to drill the 32 test holes near the BWCAW. Founder Ernie Lehman said it's not clear if copper and other metals will be found in the volume necessary to make mining worthwhile. "We're not at all sure its even there. If it is, it's probably deeper than it is" at another site nearby to the southwest, he. "It's close to where we know there are [copper-nickel deposits.] And we're in a business where we tend to stay close to each other. But we don't really know." Other companies asking to drill in the area include Duluth Metals Corp., Encampment Resources LLC and Prime Meridian Resources Inc. The influx of prospecting requests since 2007 caught Superior National Forest officials a bit off guard. The forest's long-term management plan, completed in 2004, didn't anticipate the copper mining interest that has developed since then. Now, forest officials are working to get ahead of the exploration requests. "It's important people understand this is about minerals exploration, not mining. We are many steps and many years away from anything close to mining in that area," Sanders noted. Superior Forest officials so far have found that the exploratory drilling would cause "no significant impact," noting the drills will be removed and the sites and temporary roads rehabilitated when the companies finish their work. The forest service helps decide where exploratory holes should be drilled and how to avoid wetlands and sensitive areas, as well as resorts and cabins, and how to keep noise to a minimum. Environmental groups say most Minnesotans are unaware how many and how close potential mining projects are to the BWCAW. While mining is forbidden in the wilderness, and in some adjacent "mining protection areas," mines could be built up to the BWCAW boundary. "We're always considering the impact of projects – timber sales or mining exploration or [recreation] trails – on the wilderness. But there is no formal buffer zone," Sanders said. Copper mining skeptics say the biggest issue is potential sulfuric acid runoff into local waterways. Betsy Daub, policy director for the Friends of the Boundary Waters Wilderness, notes that the rivers flowing through all of the prospective drilling areas flow into the BWCAW. "These exploratory drilling sites pose their own impacts, with access roads and drilling pads and tree cutting, possible contamination of the water," she said. "But the larger issue is the very real likelihood that, if even only a few of these sites turn into mines, we'll see acid drainage into the wilderness." Mining supporters counter that runoff from mines can be managed and treated. "We can do this right," Lehman said. "Better here than in" a third-world nation with little or no environmental regulation. 20 years by exploratory drilling alone, including new roads and drill sites. That doesn't include nearby private or state land and doesn't include any actual mining. Several companies that have explored extensively over the past decade already are considering mining copper and other metals near the current area of exploration interest, including PolyMet, Franconia, Duluth Metals, Tech-Cominco and Encampment Resources. Some of those companies, while still fine-tuning exploratory drilling, already have found large enough deposits to consider mining projects. PolyMet is the only company with a specific mine proposal. The firm is awaiting results of a years-long environmental review before applying for mining permits. That environmental impact statement is expected later this year, and PolyMet hopes to open Minnesota's first copper mine about one year after that. Other players are apparently waiting to see how the PolyMet project advances before submitting mining plans of their own. Meanwhile, Utah-based Kennecott Exploration has been looking for minerals in north-central Minnesota since 2001, drilling test holes on county, state and private lands in Carlton, Aitkin, Mille Lacs and Kanabec counties. Ernie Lehman, Minnesota's veteran copper-nickel prospector and minerals director for Franconia, predicts interest in copper-nickel mining in the Superior National Forest will continue as global supply shrinks and demand increases. The area could become the largest U.S. source for many critical metals, he said. "This is a high-interest area. It's a significant copper-nickel resource globally," Lehman said. "And as properties get developed up there, PolyMet being the first, you're only going to see interest increase." An environmental group claims the proposed PolyMet copper mine on the Iron Range would damage sensitive lands and increase Minnesota's output of carbon dioxide. Friends of the Boundary Waters Wilderness this week said Superior National Forest land proposed for the open pit mine was classified in the 1990s by federal and state biologists as special habitat worthy of protection. The group cited at least three reports by state and federal agencies that suggest the land, part of what's called the "100-mile Swamp," should be protected. One assessment suggested that the area be designated a state Scientific and Natural Area and another suggested a National Forest Research and Natural Area. The land was never included for special protections. But the group says the land should remain in public ownership and undeveloped. "The biologists identified this land, as part of a larger area, as some of the best examples of habitat in those ecosystems," said Betsy Daub, policy director for the group. "They may not have been officially designated, but they still have high value." The group estimates that removal of 1,000 acres of peat bog for the mine would increase Minnesota's contribution of carbon dioxide into the atmosphere by 2.7 million metric tons. PolyMet spokeswoman LaTisha Gietzen said the group exaggerates the mine's impact on wetlands and carbon. The mine would affect only 850 acres of wetlands, she said, and not all of it is peat. She said the actual carbon output from peat disruption would be only 3,000 metric tons. "Our impact on the actual 100-mile Swamp is probably less than 40 acres," Gietzen said. "I'm not sure where they are getting their numbers, but they don't add up." Others note that the area is between two existing open-pit taconite mines, has been extensively logged and is far from pristine. "This is just another example of misinformation from a Twin Cities anti-mining group," said Frank Ongaro, executive director of Mining Minnesota, an industry group. It remains unclear when the PolyMet project might advance. A joint Minnesota Department of Natural Resources and U.S. Army Corps of Engineers environmental review of the mine, under way since 2004 and at one point expected in 2007, still is not ready for public review. Company officials say they now expect it by September. The DNR continues to hammer out specifics with PolyMet on preventing acidic runoff into waterways, both during mining and after operations cease. While PolyMet has mineral rights, the site of the mine is owned by the U.S. Forest Service. PolyMet is negotiating with multiple private landowners within the national forest to buy land to then trade with the Forest Service for land at the mine site. PolyMet is proposing Minnesota's first copper mine. It also would produce nickel, platinum and other valuable metals. The mine site is near Babbitt, while the company would use the former LTV Steel taconite plant near Hoyt Lakes as a processing center. The operation would create 400 or more jobs for more than 20 years. Duluth, Minn. – The fears about copper-nickel mining start with sulfuric rock the metals are found in. When exposed to the air, these rocks can leech caustic pollutants like acid and metals. Just west of Duluth, the St. Louis River spills through rocky channels on a final plunge to Lake Superior. Retired biology teacher Len Anderson said, not only is this area beautiful, it's key for the Lake Superior fishery. "It also is the nursery for many of the fish that inhabit Lake Superior," Anderson said. "You know, over 100 river miles away from PolyMet, but this is where, I believe, the critical issue is going to come to a head." The issue, he said, is methyl mercury – mercury in a form that can harm fish as well as the people and animals that eat the fish. The mercury is packed into sediment behind a nearby dam, but it's in a relatively safe form. Sulfates from mining, he said, would convert it into toxic methyl mercury. Mining opponents, like Betsy Daub with the group Friends of the Boundary Waters, worry about sulfide mining's track record in western states. "What we haven't yet seen is the mining companies – the industry – be able to hold up some shining star examples of sulfide mining where we haven't seen really horrifying pollution problems," Daub said. Daub sites a 2006 study, co-written by Butte, Montana-based mining consultant Jim Kuipers. Kuipers studied two dozen projects, comparing what they said would happen with pollutants with what actually happened. "In nearly every case where we had mines in close proximity to surface water and ground water, we saw that there was almost a 90 percent, if not greater, probability that the predicted water quality wasn't actually what we saw," Kuipers said. Of 25 mines studied, he found 76 percent violated water quality standards. One of the worse cases studied is the Black Hill's Gilt Age gold mine. After multiple pollution spills, the mining company went out of business and South Dakota has spent millions trying to clean up the mess. Some mines did much better. In Wisconsin, state regulators point to Kennecott Mining's Flambeau mine near Ladysmith. "We don't see any evidence out there that it has severely adversely impacted the Flambeau River," said Phillip Fauble, Mining Program Coordinator with the Wisconsin DNR. "It seems to be acting as predicted in their models. We haven't seen that they've violated in the permit conditions for groundwater. You know, we've set conditions that they had to meet, and Kennecott showed that they could meet them." The Flambeau mine site will be monitored at least 40 years to ensure it doesn't pollute. The Minnesota DNR will play a key role in the Iron Range projects. 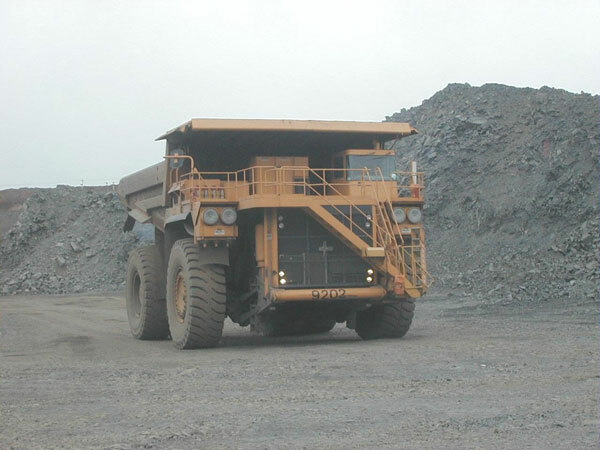 The agency has learned plenty from a taconite mine called the Dunka pit. Sulfite rock exposed there in the 1960s was leeching metals into a nearby creek. The state compelled the mining company to build wetlands that now largely absorb the metals. But the site requires monitoring for the foreseeable future. DNR mining researcher Paul Eger said you can't just walk away from a closed sulfide mine. "We've learned a lot," Eger said. "New mines can operate with much less maintenance and much less unexpected water quality issues, but I do think that there is going to be some maintenance of these areas." Mining expert Jim Kuipers said sulfide mining can be done well, with the best chance in a state with mining history like Minnesota. "If we can encourage good mining companies, with good solid deposits to do the right thing, we might actually make some advance in terms of environmental protection, and things like that," says Kuipers. But Kuipers said mining with poor deposits or weak financial backing often goes badly. And, he said, you have to balance mining with other values in the region. "You know, you may have the perfect ore deposit sitting next to the last place in the planet you really want to mine," Kuipers said. "Then you really don't have a situation where I'm going to suggest you can do it right." In Minnesota, the debate will focus on a region between Lake Superior and the Boundary Waters – an area some people might call the last place on earth you should risk polluting. while claiming our future is in solar and windmills. You use fear tactics, create mountains out of molehills. your consumption equaling the mines and the oil drills. You want your fancy house, your car and your things. Your flat-screen tv, designer clothes and diamond rings. and never experience the result that it brings. Solar panels and windmills aren't made with pixie dust. They require glass, plastics and metals coated so that they won't rust. They seem so "green" and they give you the conscience for which you lust. But their raw materials came from oil rigs and mining sites. In that fact, you can trust. You want to consume your goods. You want to buy, buy, buy. You live in denial. See the truth? You'd rather not try. Your lifestyle must come somewhere in the world, that's no lie. whereas I would prefer to have it nearby. In Minnesota, we have MSHA, MPCA, DNR and strong unions. Overseas, environmental regulations are rare and their land is in ruins. For that ring on your hand, they slave under deadly working conditions. but you don't want to live with the consequences of your decisions. and a "Ban Sulfide Mining" bumper sticker ironically placed on the back. or the metals that comprise the laptop in your backpack. You ask me how I can sleep at night, knowing that I work at a mine. I know I'm fulfilling a need and my ethics are sound, so I do just fine. We have to accept that our actions have consequences, yours and mine. I care about the global environment, the workers and their families. NIMBY is selfish and that's my final line.